Well, here we are after a busy month of layout, uploads and publishing. And as usual my thoughts return to the blog, which as usual isn’t updated as often as it should be. So what have we been up to and what’s on the Horizon. In the month of March we released 4 new products on RPGNow. Sorcerer Specialist: The Illusionist is a rework of the old Illusionist class for 3.5e with a twist, being based around the sorcerer class, rather than a Mage subclass, Nicholas Thalasinos brings us his vision of the class. A re-imagined PC class for your d20 campaign. 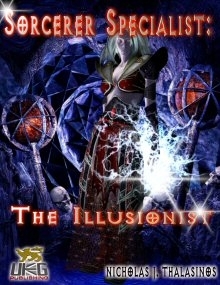 Nicholas J. Thalasinos brings us his vision of the Illusionist, re-imagined in the role of a specialist sorcerer. Illusionists are arcane spell casters who specialize in casting illusions – spells that deceive the senses or minds of others. They cause people to see things that are not there, not seeing things that are, hear phantom noises, or remember things that never happened. As such, their spells manipulate light, darkness, shadow, sound, and (to a lesser extent) thoughts. This 21 page document brings the class to life, including access to illusionist familiars, and 28 new spells. 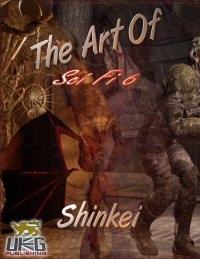 Art of Shinkei: SciFi 6 brings another of John Picot’s stock art sets to our stable of stock art. SciFi 6 includes 11 full colour CGI images by CGI Artist John Picot, for use in your gaming, fan publications or full publication. The license extends to allow use of these images in web pages, both non-profit and profit publications. Please download the demo for samples of the art include in this product. Year of the Zombie: Traders is the latest in the YotZ line, bring Tim Willards vision of Post Apocalyptic bartering, and illustrated by John Picot. Despite an apocalypse, despite disease, war, famine, or widespread disaster, trade and bartering often continues. Trading something you have excess of or that has no use to you for something you have none of is a long standing human tradition. While killing someone over an item is still happens after the Rising, most people would rather trade or barter for items than kill for them. Money has become just a little better than worthless, making a good toilet paper or tinder, and the standard for bartering has become ammunition. Even empty shell casing are worth something to people, as they can be reloaded and used again. Firearms are another standard, usually made for large/expensive trades involving vehicles, medicine, or working electronics. A firearm with a usable amount of ammunition is usually enough to get medical treatment or a couple cans of gasoline at the least. 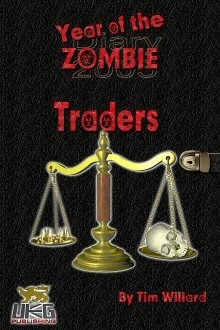 Year of the Zombie: Traders is a 49 page book detailing trading and bartering in the Post Apocalyptic World, and those people who scrape a living as traders. As usual, Year of the Zombie: Traders contains strong language and references. 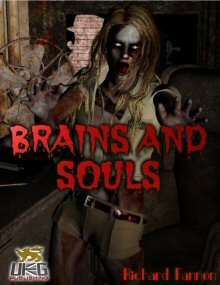 Finally, Brains and Souls is the latest SotC supplement from Richard Fannon which examined the Zombie Apocalypse genre and bring rules for SotC to the table to run games in this setting. Human, but not human; dead, but not dead. Abandoning all civilised behaviour as they descend below the level of animals. The Arabic ghuls, the Wendigo of Algonquian myth, thedraugar of Norse legend and, from Haiti, the zombi. Stories about zombies are stories about humans. We project our fears onto them, fears about how fragile our civilisation might be and what would happen if everything that we love and everything that we think that we need was suddenly taken away. SotC is a OGL role-playing game written by Evil Hat Productions and based on their FATE system. This supplement contains additional rules to tailor SotC to the zombie survival genre. As well as the rules, this book also contains a history of the zombie survival genre of fiction (both in film and in literature) and an exploration of the genre’s influence on today’s society. It asks questions about what it means to be a human being – both as an individual and as part of society. This book should allow you, the GM, to create games where you and your players can explore these issues – and have fun while you’re doing it. Further more we have been working hard to get our back catalogue into print. To that end I have already got Brass, Blood and Steam formatted for print and have received a proof copy. this weekend I have also set up Brains and Souls, Thousand Faced Heroes, Limitless Horizons, YotZ Traders and Sorcerer Specialist: The Illusionist for print. Proofs have been ordered. You can order our print catalogue from Lulu. Please note however, that whilst the five new books are listed on the site, we have not received a proof copy yet so order at your own risk. What’s on the horizon, I understand Tim is hard at work with Fleshmongers II, and Richard Fannon is working through some SotC adventures for Brass, Blood and Steam. I am working on a few books myself although these are embryonic at the moment, so more on those later. Eat the Rich, is having the maps created and ready for layout, and I have a number of Stock Art packs from John Picot ready to load. So Busy Busy Busy.